The 2018 Presidential Entrepreneurship Award of the Technical University of Munich (TUM) goes to NavVis. The company develops applications for mapmaking and navigation in interior spaces, exact to the centimeter. NavVis was founded in 2013 with the support of TUM and UnternehmerTUM; today approximately 140 employees work on the innovative digitalization project in Munich and New York. On a smartphone NavVis lets users find their way easily in complex building units such as plant halls, convention centers, airports, train stations and shopping centers. It also makes it possible to experience entire exhibitions online. To do this, the company digitalizes indoor spaces using mobile trolleys equipped with a variety of cameras. The footage is used to create photo-realistic 3D maps of buildings exact to the centimeter. This data is supplemented with a navigation system and interactive location-specific services. The technology for a camera-based navigation system was developed by Georg Schroth, later one of the company's founders, during his doctoral studies at the TUM Chair for Media Technology. The first to join the subsequent research project were the doctoral candidates Sebastian Hilsenbeck and Robert Huitl, followed by Economics PhD graduate Felix Reinshagen. 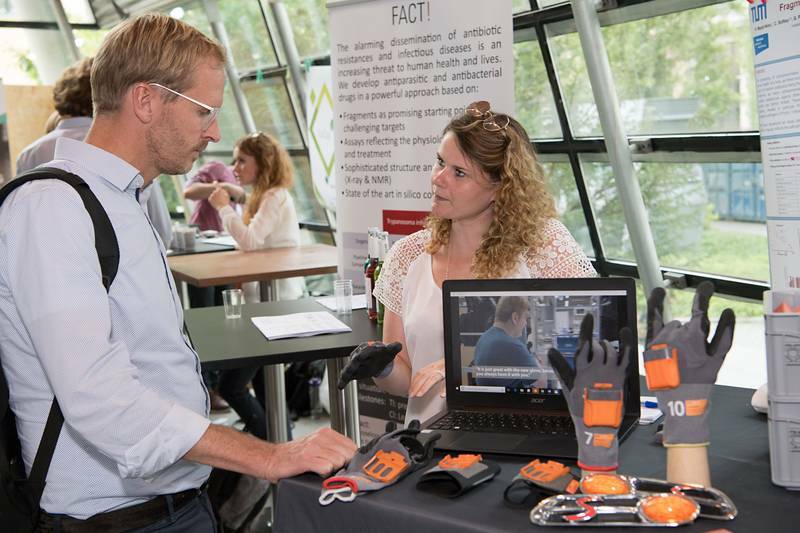 The four founded NavVis in 2013 with the support of TUM and UnternehmerTUM, Center for Innovation and Business Creation, for example in the KICKSTART program for entrepreneurial qualification. In addition to basic research and start-up consulting, TUM also played a role in the majority of technical developments. Thus for example the trolley prototypes and the company's corporate design were created in collaboration with the Chair for Industrial Design. ParkHere simplifies the parking process for drivers and parking lot operators alike with a combination of smart hardware and software that learns. All three ParkHere founders are TUM graduates and worked on the development of the sensor and business planning in their Bachelor's thesis projects. The EXIST start-up grant gave them the opportunity to continue developing their idea to a mature business concept and ultimately to spin it off. Today the company has a headcount of 30 employees and has already equipped more than 10,000 parking spaces with sensors. Bored by the classic assortment of available beer, Dominik Guber, Ping Lu and Wolfgang Westermeier came up with the idea of marketing a do-it-yourself beer brewing kit. As part of the UnternehmerTUM Manage&More subsidy program the three TUM students initially developed the concept of the "Braufässchen" or mini-brewing keg. Today the company also sells other kits for producing foods and beverages at home. After the awards ceremony, a large number of start-ups created by students, employees and alumni presented themselves as a part of the TUM Entrepreneurship Day yesterday. 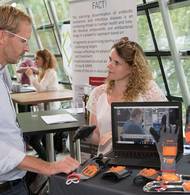 Visitors were also able to develop their own products in a very short period of time during a prototyping workshop.